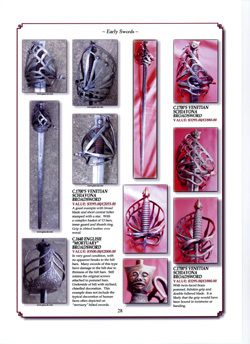 Do you collect antique swords? Do you want to know the value of your swords? If so, here is your opportunity to acquire a first edition, author signed (if requested) copy of an important publication for collectors and students of antique military swords. The book contains over 2000 full colour photographs – many have never been seen in print before. 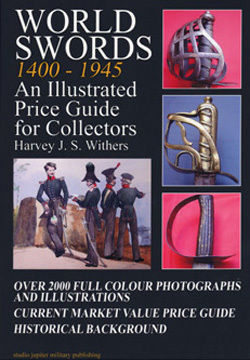 Each sword listing includes a series of detailed full colour photographs and a concise description, including the current market value of the sword in both $US and £Sterling. 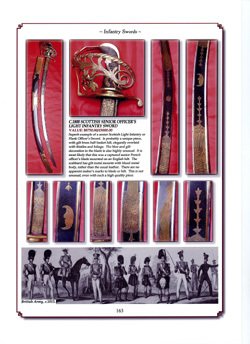 Please take the time to look at the sample pages below – each page contains many full colour photographs and illustrations, including a wealth of detailed information aimed specifically at the collector of antique military swords. 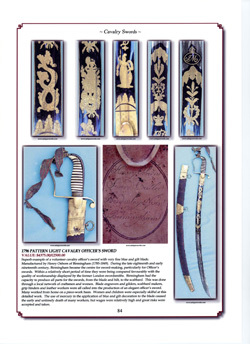 The swords described in this reference book are the kind of edged weapons that the collector will regularly encounter at Antique Arms Shows and auctions. For more information about this book just click on the images below. 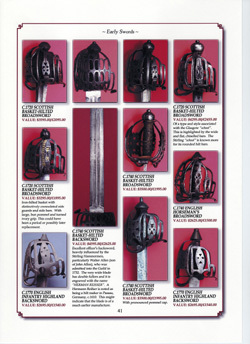 British Military Swords 1786-1912 – Brand New CD-ROM!